Stop & Shop employees and their supporters gathered in the corner of the parking lot, next to a giant inflatable rat, a common sight at union protests. 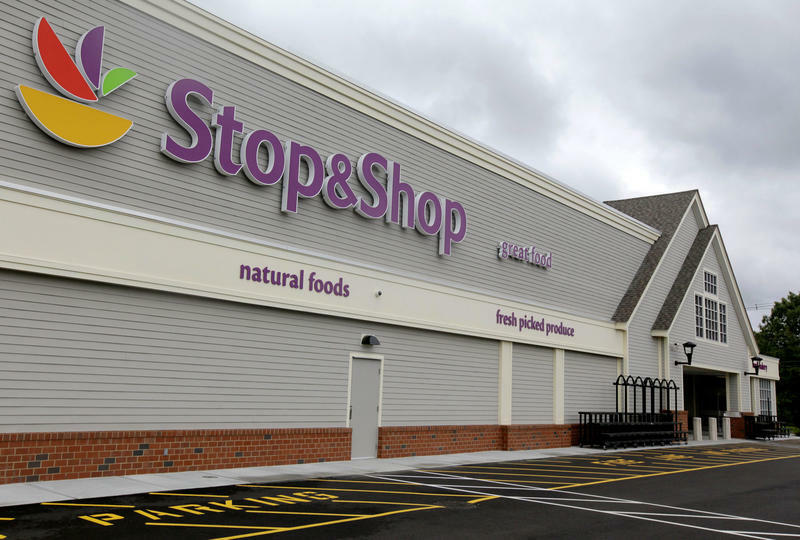 They mocked Stop & Shop's non-union competitors, and the company's recent contract offers. Maria Pauly, a part-time employee at the Chicopee store, said she has worked for Stop & Shop for 10 years and loves her job. But Pauly said she feels like she's been "kicked in the face by a company [she's] very faithful" to. Sabrina Pedro pushes her young son in a stroller along the short walk home from the Stop & Shop in Grove Hall. It’s the only supermarket in her neighborhood, which straddles Roxbury and Dorchester. A Stop & Shop strike could make errands like this one harder.